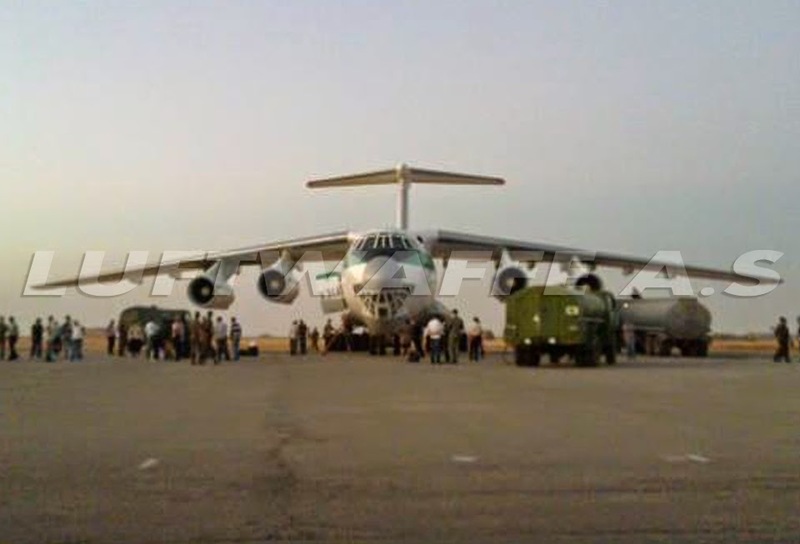 Mysterious 'السورية' Il-76 in Syria! In 2012, after the ratification of the sanction against the Yas Air Cargo by the UN, the IRGC decided to find a way to cover its airline role in cargo flights toward Syria. The Cargo airline resumed its activity again under new name of Pouya Air, and this time, the IRGC decided to never risk again and endanger its business by means of operating the cargo airline civil airplanes for cargo flights to Syria. 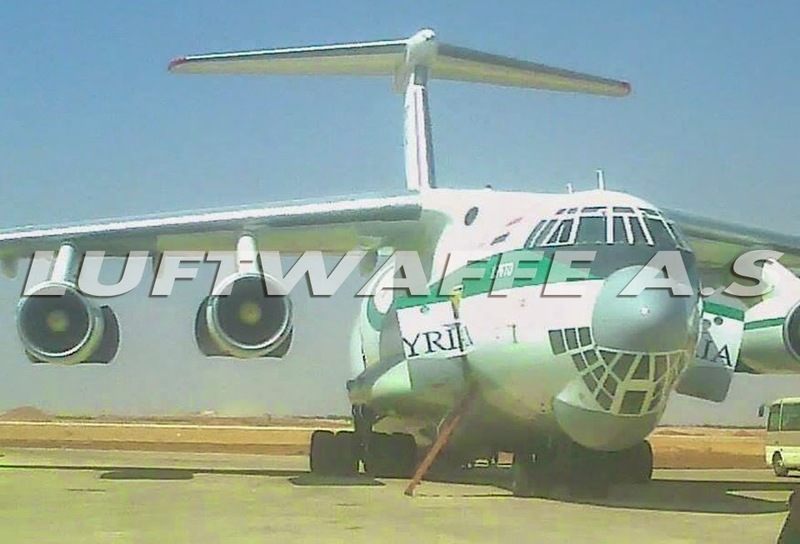 Therefore and instead, one of three Il-76TDs of the IRGCASF was offered to Syrian Air for leasing via the Pouya Air. The airplane in question was the 15-2282 (0063471155), which had been recently overhauled at Moscow Zhukovsky between April 2010 and January 2011. The airplane was wet-leased by Syrian Air, and subsequently a minor change in its livery was applied. The red cheat-line and trim was over-painted by white color, the Syrian Air insignia was applied on its vertical fin and front fuselage and the Syrian flag was replaced with Iranian flag on that. But the serial number of the airplane remained unchanged. 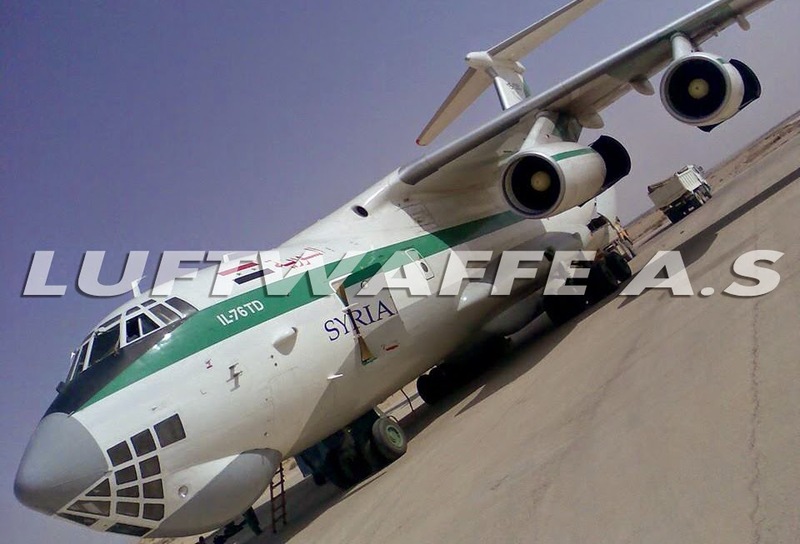 The airplane was heavily used beside the Syrian Air Il-76s for the domestic flights between Damascus IAP and Hama AFB as well as the international flights toward Iran. 15-2282 was in Syrian Air use until October 2013, when it together with a convoy of four Syrian Air airplanes, consisting of two Il-76TDs (YK-ATA and YK-ATD), one Tu-134B (YK-AYE) and a Falcon 20E (YK-ASB) were flown toward Iran and stayed in Badr Air Base of IRGCASF at Mehrabad International Airport for two weeks in October 2013. It seemed, that they were safe haven in Tehran from a mortar attack to Damascus airport at that time. After October, the period of the contract for 15-2282 was reached and it was returned to the IRGCASF service again. The Syrian flag and Syrian Air insignia were covered and the Iranian flag was painted again on the airplane’s fuselage. The airplane was repeatedly used for the IRGCASF’s domestic daily flights for carrying IRGC personnel and their families between the Tehran and other Iranian cities. 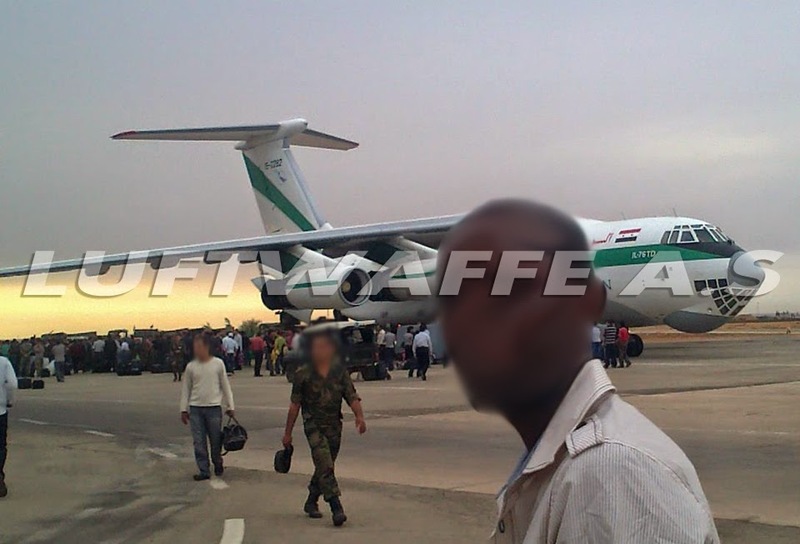 In rare cases it was reported that the airplane together with the EP-PUL (IRGCASF’s Il-76TD with 15-2284 serial number) have been used for carrying IRGC troops and Afghani soldiers of Fatemiyun Corps to Baghdad, from where they were being sent to Syria in 2014.